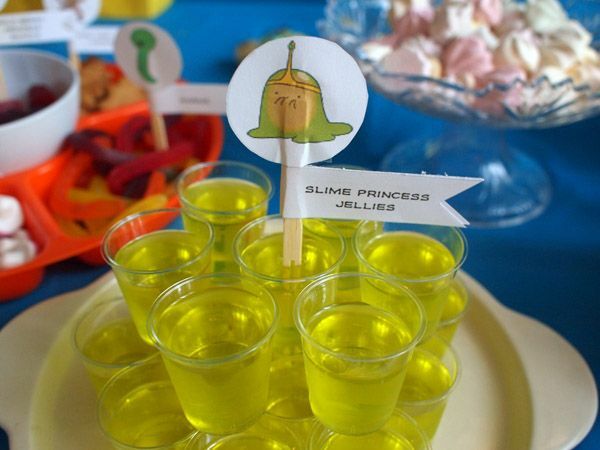 Adventure Time Birthday Party Fun! 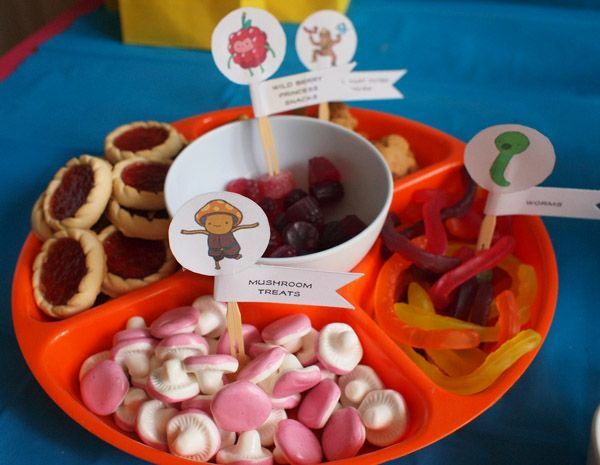 Pilgrim Lee is no slouch when it comes to birthday parties. 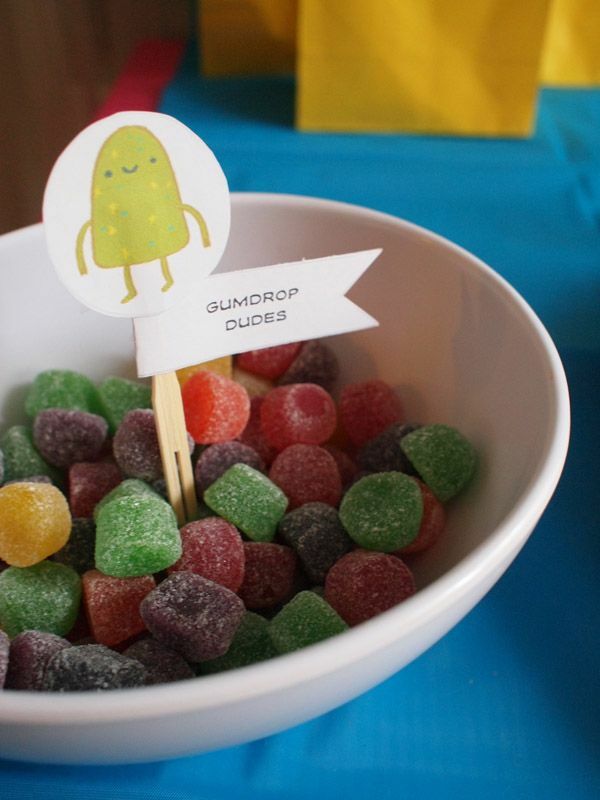 She thrilled us all with her beyond fabulous Willie Wonka Birthday Extravaganza for her sweet boy Donovan’s 5th birthday. 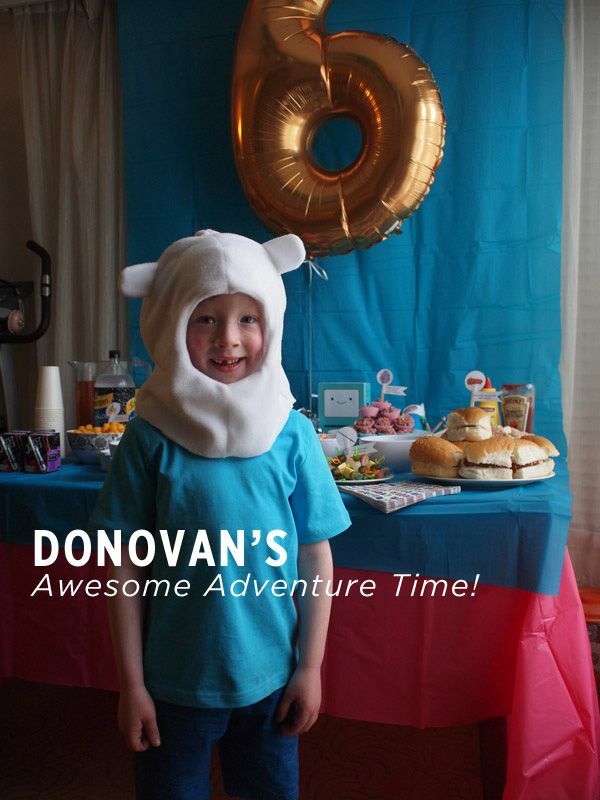 This fall she put together another wonderful party based on Little D’s love of the wacky animated series Adventure Time. It looked like a blast! 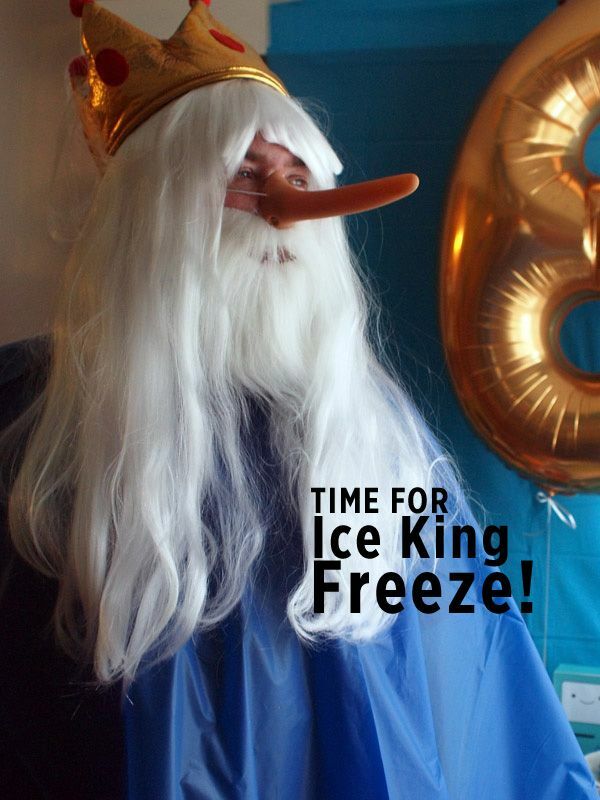 Ice King ‘Freeze!’ – party guests move to music—the Ice King would freeze players when the music stopped. 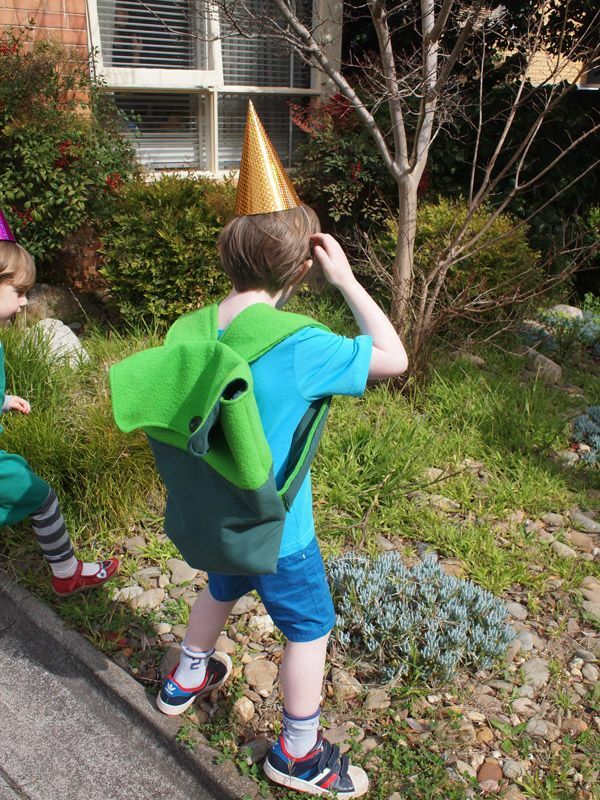 Snail Treasure Hunt – each episode of Adventure Time features a little snail, i assigned each kid a color and wrapped 2 small gifts for them in corresponding tissue paper sealed with a picture of the snail. then they were hidden in the garden! The Illustrious Lady Rainicorn Pinata! Thank you so much Donovan and Pilgrim for sharing your special day with us! We can’t wait to see what SEVEN brings!!! You can browse Pilgrim’s fantastic prints in her shop here. 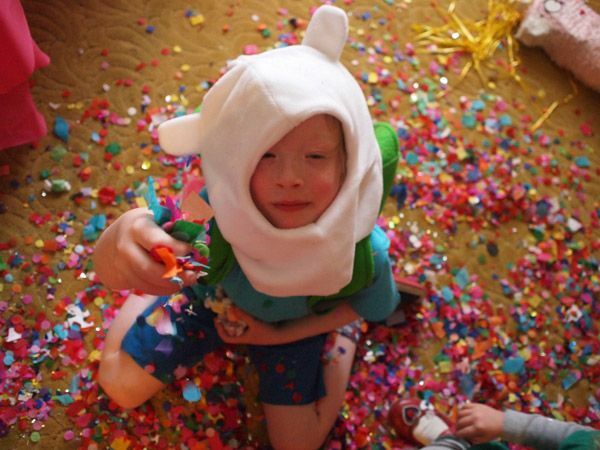 Tagged with Adventure Time Birthday Party, Adventure Time Party, adventure time unicorn pinata, Food for Adventure Time Party. Pilgrim is a crazy creative genius. 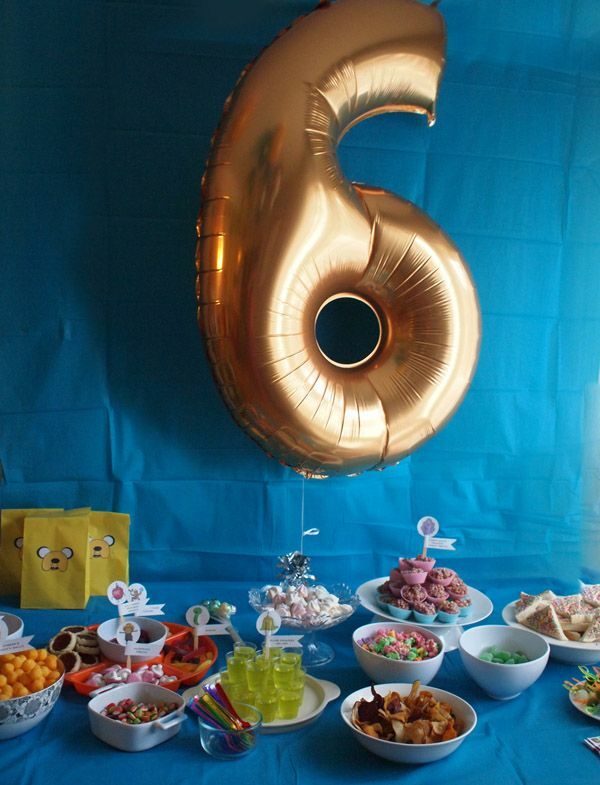 I especially love that rainbow unicorn piñata! Well, Alix does it again! What a crafty creative lady! I love Adventure time, so this really just charmed the pants off of me! 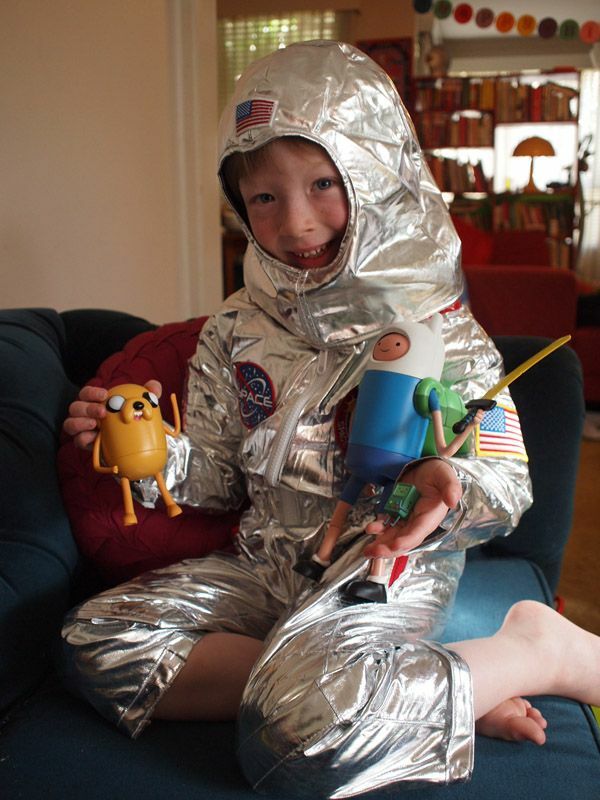 There is so much awesomeness, but I have to admit that the unicorn pinata is really killing it for me. So genius! 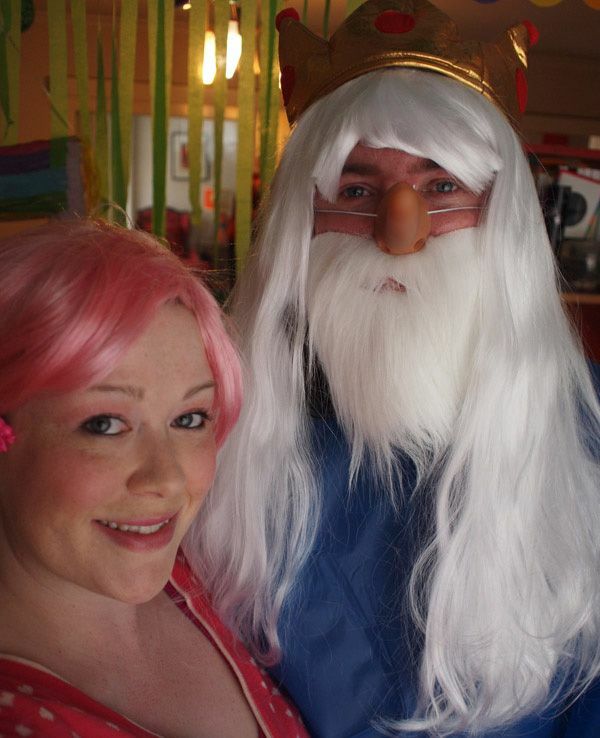 And I love that Pilgrim and her sweetie are rocking it as Princess Bubblegum and the Snow king. Mathematical! 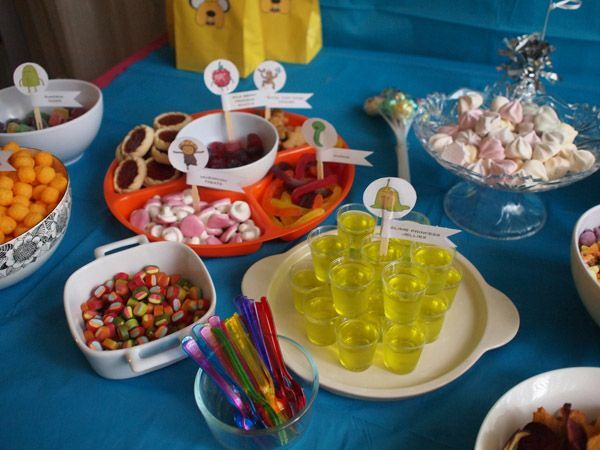 We love Adventure Time at our house, my kids would be thrilled to have a party like that! So Cool! I would expect nothing less from Miss Pilgrim, for sure. I love how she took this cartoon and really made it their own. 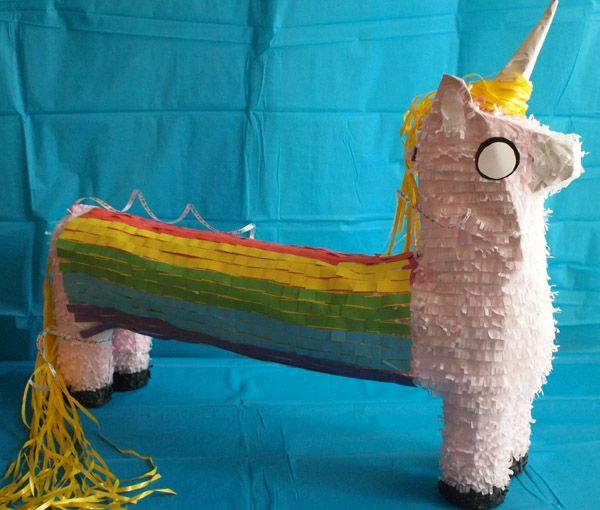 That unicorn piñata is also rocking my world…..makes me wonder what other things could be elongated that way for fun. Great job, and happy birthday to your boy, Pilgrim! Super cool party! 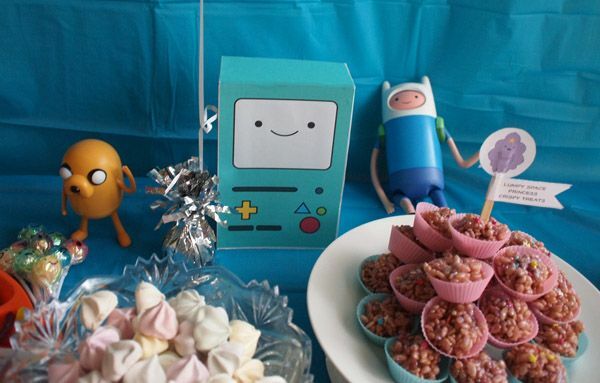 How did you make the Lumpy Space Princess Crispy Treats? 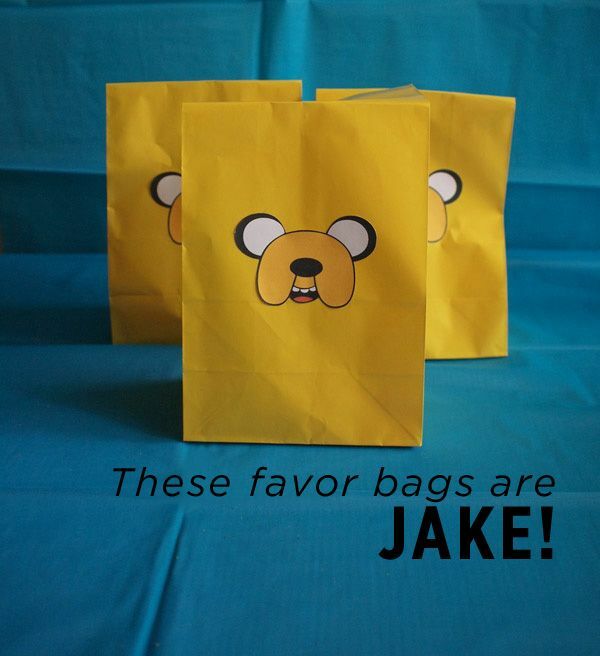 My husband loves Adventure Time and I think he would really enjoy them. HI! 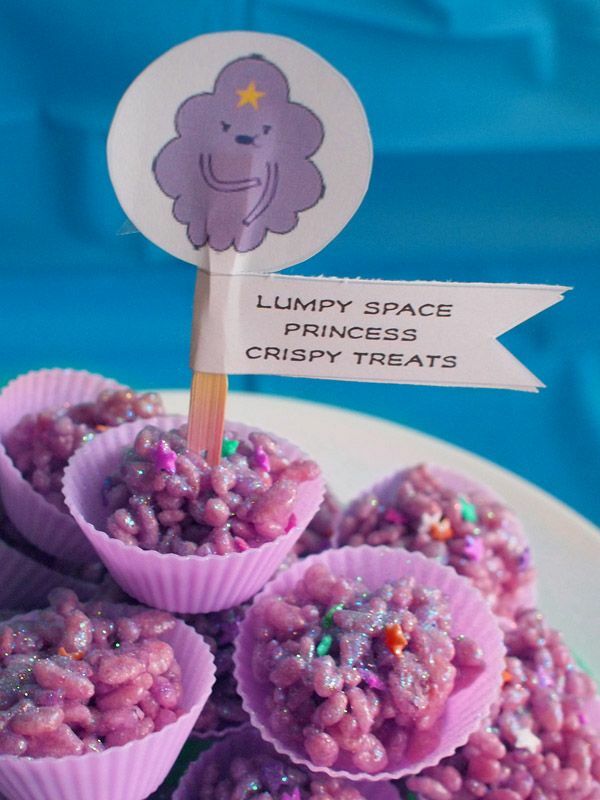 I believe these are just standard rice crispy treats (marshmallow with melted butter….a drop of purple food coloring to get that lavender color….pour over rice crispies…..stir….looks like she then placed spoonfuls into little cupcake trays (be careful though because that mixture can get hot!) and before it cools, give it a dusting of edible glitter/sparkles. You could probably also just put it in a pan, add the colorful edible glitter/sparkles and then once it’s all cool, pull it apart to create the little balls. GOOD LUCK! How on earth did you make that pinata? 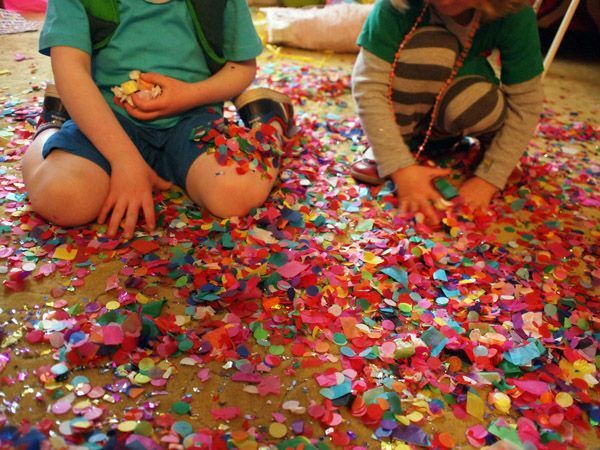 Great job on the whole party btw!! 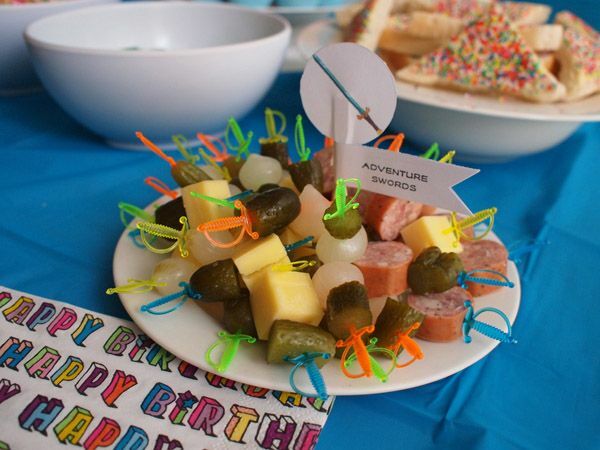 Your party looks amazing! 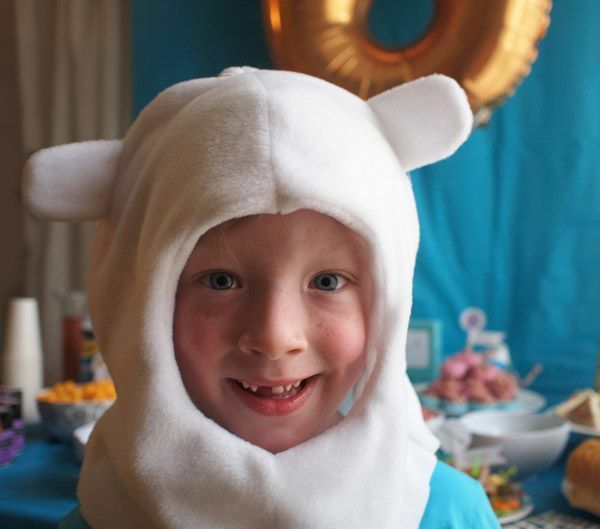 We clicked on the link “Food for Adventure Time Party” and it went to a blank page. Could you please post a good link?